MRM Franchise Feed: Pupatella Inks First Franchise Deal and Kitchen Fund Invests in The Hummus and Pita Co.
Modern Restaurant Management magazine’s Franchise Feed offers a glimpse at what’s new in the restaurant franchise environment. Send items of interest to Executive Editor Barbara Castiglia at bcastiglia@modernrestaurantmanagement.com. Pupatella, a Neapolitan Pizzeria based in Northern Virginia, signed its first development agreement with Zeeshan Kaba, owner of NKRV LLC, to develop four restaurants in the Richmond, Virginia metro area. The first restaurant will be located at 1 N Morris Street in Richmond’s Fan District and is slated to open summer 2017. 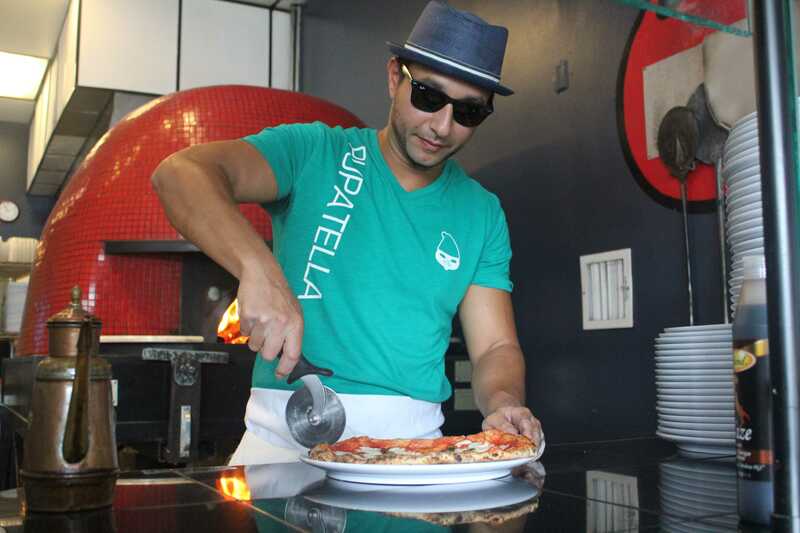 Pupatella possesses a VPN certification, a designation given to qualifying pizzerias by the Naples-based Associazione Verace Pizza Napoletana. To obtain the VPN certification, the pizza is made according to the 200-year-old Neapolitan technique. Only wood-fired ovens are permitted; the dough is made of only four ingredients: 00 Italian flour, sea salt, fresh yeast and water. The toppings for the D.O.C. (Denominazione di Origine Controllata) pizza may only include sauce made of San Marzano tomatoes grown in Italy, fresh cherry tomatoes, fresh mozzarella made with buffalo milk or fior di latte, sea salt, fresh basil and olive oil. Due to high demand, in 2016 Pupatella decided to expand through corporate development and franchise opportunities. To accomplish this, Enzo Algarme, Pupatella’s founder and owner, joined forces with founding partners of Elevation Burger Franchise Ventures who grew the country’s first organic burger chain from one to more than 60 restaurants worldwide. Specific areas for U.S. expansion include Washington D.C Metro, Philadelphia Metro, Virginia Beach, VA, Raleigh-Durham, NC, Chapel Hill, NC, Newark, DE, and Wilmington, DE. Franchise opportunities are also available in the Middle East. 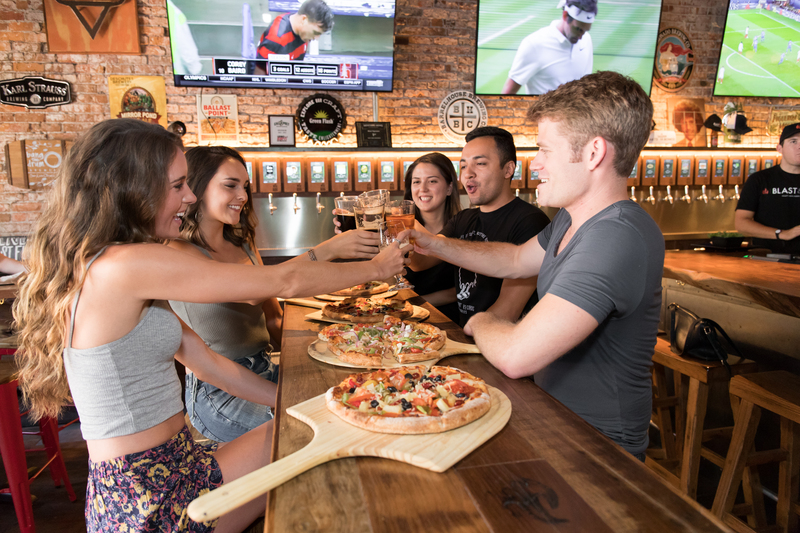 Blast & Brew, a Neapolitan pizza franchise that offers artisanal pizzas and more than 40 taps of self-pour craft beer, signed a franchise agreement set to bring three locations to the greater San Jose, CA area over the next three years, with the first restaurant expected to open in late summer. The San Jose locations will be owned and operated by an entrepreneurial team that brings several years of experience in the restaurant, consulting and marketing industries to the brand. The group currently operates a Pan Asian Cuisine franchise in San Jose, and previously owned several Vitality Bowl units in the Bay area. In addition to customizable food options, Blast & Brew “Beer Geniuses” guide guests through its beer selection, helping them to choose a draft that will complement their meal. The restaurant has more than 40 rotating local and regional craft options that guests can pour themselves through a pre-paid program. “Pratik and his group bring a strong understanding of the retail and franchising spaces, making them a perfect fit to expand our California presence into San Jose,” said Mike Reynolds, Chief Development Officer at Blast & Brew. The San Jose location marks the first Blast & Brew restaurant in San Jose, and is part of greater growth plans by Blast & Brew to expand its presence in the South and East Bay markets of California. 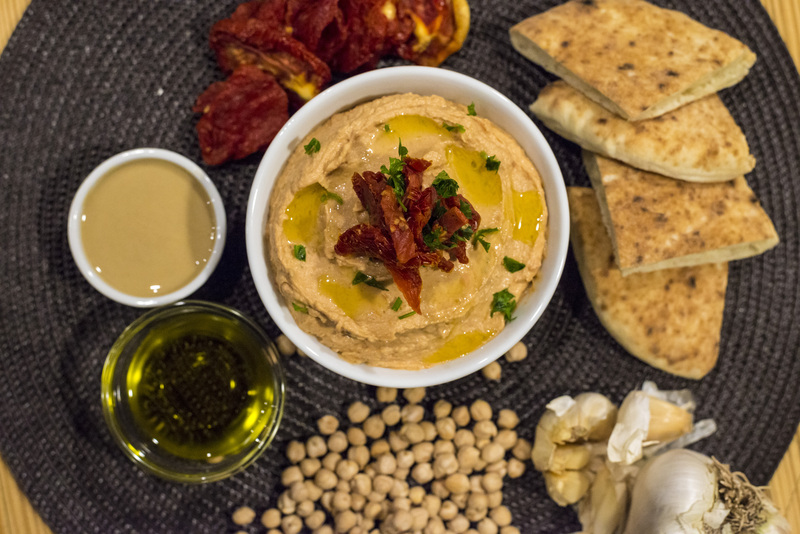 Kitchen Fund Invests in The Hummus and Pita Co.
Mediterranean chain The Hummus & Pita Co. attracted new investment from early-stage restaurant investor, Kitchen Fund. The fund’s founders Dan Rowe and Greg Golkin will also join the board of the company. The brand has grown tremendously since 2011 when Janice Axelrod first opened the doors on 6th Avenue and 17th Street. The restaurants are now run with the help of her sons David and Steve Pesso, and the family operates 4 corporate locations throughout Manhattan. The investment from Kitchen Fund will go towards building infrastructure for rapid growth of corporate and franchise locations. Kitchen Fund is an early-stage restaurant investor which provides financial capital and operational expertise to emerging restaurant brands. Kitchen Fund was founded in partnership with Fransmart, a world-leading franchise development firm, whose brands have opened over 5,000 restaurants worldwide. The group has invested in several segment-redefining brands, including INDAY, Mr. Holmes Bakehouse, and Cava. The Hummus & Pita Co. is looking for franchise partners to help introduce its menu to customers in major media markets across the country. Fransmart serves as The Hummus & Pita Co.’s exclusive franchise development partner and is the franchise development partner behind the explosive growth of brands like Five Guys Burgers and Fries. Capriotti’s Sandwich Shop signed a franchise agreement to bring a total of five locations to the Boise, ID and Reno, NV areas over the next five years. The first restaurant as part of the deal is expected to open in the Reno, NV area later this year. 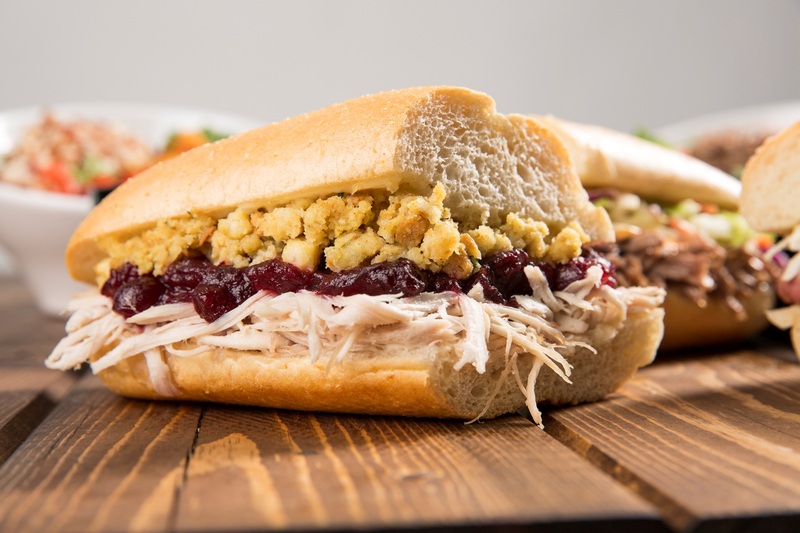 Capriotti’s is known for its 40-year nightly tradition of slow-roasting whole, all-natural turkeys in-house and hand-shredding them each morning to feature in a variety of fan-favorite subs. This includes The Bobbie, the shop’s acclaimed best-seller, made with homemade turkey, cranberry sauce, stuffing and mayo on a soft roll. The new locations will be owned and operated by Reno natives and entrepreneurs Ken Cassas and Anthony Reviglio. Cassas, who previously owned a retail franchise, and Reviglio, who worked in the agriculture industry, have been loyal fans of the sandwich franchise since the 90s. When it came time for the pair to begin searching for their next career venture, there was no question it would be Capriotti’s. Capriotti’s has more than 100 fast-casual restaurant locations across the country, with a strong presence on the East Coast and West Coast. Capriotti’s will open 15 new shops in 2017 and aims to grow the brand to 500 locations by 2025 through franchising. Dog Haus, the gourmet hot dog, sausage and burger concept, announced a companywide promise to serve 100% all natural, humanely-raised, hormone-and-antibiotic-free, never-ever Creekstone Farms Natural Premium Black Angus beef to its burger loving guests. Dog Haus has reinforced its long-standing commitment to quality by only serving burgers made from humanely-raised beef. Headquartered in Pasadena, California (home of the cheeseburger), Dog Haus’ new premium beef is from one of the few branded Natural Black Angus programs certified by the USDA: Creekstone Farms. “When we first tried the Creekstone Farms beef, we all agreed on the superior quality and taste. It was only a matter of time until we figured out how to bring it to our restaurants,” says Hagop Giragossian, partner of Dog Haus. Not only is the beef better in flavor, it’s also easier on labor. “Due to the quality and purity of the meat, our burgers and sliders actually cook one and a half minutes faster,” says Giragossian. By saving time and adding flavor, Dog Haus raises the bar among burger competitors, ensuring that the beef that lands on its signature grilled King’s Hawaiian rolls is by cattle raised on small family-owned farms. From the handling systems to stock sources and processing plants, “humanely-raised” means that cattle are treated with the utmost care during their lifespan. “We only source the best cattle because when you source the best cattle, you get the best beef and by focusing on this phenomenal product we are able to offer a more enjoyable, higher quality and premium burger,” says Darren Guard, Regional Sales Manager of Creekstone Farms. As one of the only facilities designed and built from start-to-finish by animal rights champion Dr. Temple Grandin, Creekstone has a long-standing commitment to hand pick the very best cattle in the market. While many other meat suppliers tend to mix lower quality grades of beef to render what is known as a “batched” burger, Creekstone Farms strictly uses all Natural Premium Black Angus, allowing Dog Haus diners to be treated to an uncompromised ultra-premium quality burger unrivaled by other burger chain competitors. Raised and grazed in the USA, this natural Black Angus beef is coming straight from Kansas to a Dog Haus near you. Dog Haus signature burgers can be enjoyed at locations nationwide. Dog Haus currently has 21 locations open in five states with confirmed expansion of more than 450 franchise locations in Alabama, Arizona, California, Colorado, Florida, Illinois, Kentucky, Louisiana, Maryland, Michigan Nevada, New York, Pennsylvania, Texas, Tennessee, Utah, and Wyoming. Russ DiGilio, founder and owner of Duck Donuts Franchising Company LLC, celebrated the arrival of his donut franchise to Stafford, Virginia, the 14th in the Commonwealth. The new 2,400-square foot donut shop is located at 1475 Stafford Market Place, Suite 103. The ownership team of Larry and Katie Scherer and Ryan and Tamara Sloper hosted a soft opening to introduce their warm, delicious, and made-to-order donuts to the Stafford County community. Situated directly north of Fredericksburg, VA, and 30 miles south of Washington, D.C., Stafford is home to many historic sites, such as George Washington’s Ferry Farm, Government Island, and Civil War Park. It is also home base for the Marine Corps Base Quantico, which celebrates its 100th anniversary on April 29, 2017. “We are excited that Duck Donuts has joined us at the Stafford Marketplace. Made on demand, frosted and sprinkled to order in front of the customer, Duck Donuts brings a great product and a friendly specialty store to Stafford County,” says Supervisor Jack Cavalier, Griffis-Widewater District, Stafford County Department of Economic Development and Tourism. Along with their new Stafford location, the ownership team also owns Duck Donuts shops in Bristow, Fredericksburg, and Woodbridge. As of March 28, 2017, Duck Donuts Franchising Company has 36 open franchise locations and 153 contracts. Four Foods Group (FFG), a restaurant development, investment, and management company, acquired 48 Little Caesars Restaurants in Alabama and Louisiana. The announcement caps a flurry of recent activity for FFG, including the acquisition of the fast-growing R&R Barbecue restaurant concept and its locations in Salt Lake City, Utah, and the acquisition of The Soda Shop – an early participant in the emerging specialty soda category – and its Arizona-based locations. These transactions add to FFG’s significant presence as a franchisee in the Kneaders Bakery & Cafe brand, where the company currently owns 44 Kneaders restaurants. In all, FFG now operates 97 restaurants in Utah, Arizona, Nevada, Colorado, Alabama, and Louisiana, with 2017 annual revenues projected to exceed more than $150 million. The Little Caesars opportunity presented to FFG was compelling for many reasons. In addition to an area of the country Smith was familiar with – FFG Co-Founder Shauna Smith is an Alabama native – the Little Caesars brand provided needed balance to the FFG brand management strategy. The pizza giant’s brand positioning of price, convenience, and speed, coupled with a top-known category brand, fits well in the long-term FFG portfolio strategy. In addition to its American Fork, Utah-based corporate headquarters, FFG has now opened a second corporate office in Birmingham, Alabama that will initially house 28 FFG corporate employees. More than 800 additional employees will serve in the Little Caesars locations in Alabama and Louisiana, bringing FFG’s total employee base to more than 3,000 employees across seven states. W Partners Group LLC acted as the exclusive financial advisor to Four Foods Group in the transaction. Carman Lehnhof Israelsen, LLP acted as legal counsel. Financing for the transaction was provided by CIT Bank N.A. and funds from FFG’s investors and partners. Kwench Juice Café is now offering franchises to qualified candidates. Chosen applicants will get the opportunity to run a franchise with an exceptional business model, extensive training, and consistent ongoing support. The menu at Kwench Juice Café includes: Fresh Raw Juices, Fresh Raw Smoothies, Acai Bowls, Salads, Juice Cleansing Programs and many many more Healthy options. Currently, Kwench Juice Café has opened locations in Boston, MA & Providence, RI with many more locations being considered throughout the country. The opportunity is ideal for someone who is looking for the chance to become a business owner in the exploding Fresh Juice & Smoothie industry. The Kwench Juice Café franchise costs $14,500, with the total investment being approximately $48,000 to $98,000 (when you factor in building improvements, lease deposits, equipment, square footage and more). Franchisees are required to have a net worth of $100,000 and liquidity of$40,000. Franchisees receive full site selection assistance, lease negotiations, layout & design of their Kwench Juice Café, on-site training, ongoing support and marketing assistance. After settling in to its new home base in Scottsdale, Arizona, Maui Wowi® Hawaiian Coffees & Smoothies is targeting The Grand Canyon State for franchise expansion in 2017. The Hawaiian-themed mobile beverage franchise was acquired by Kahala Brands™ in late 2015 and is now looking to expand with multi-unit franchisees. The brand projects opening 15 units throughoutArizona in the next year. Already working toward its goal of 15 new mobile carts, Maui Wowi has spent the first few months of 2017 securing contracts at Salt River Fields at Talking Stick® in Scottsdale and Chase Field in Phoenix. Through strategic franchise partnerships, the company is looking to follow up on its early success by opening its signature mobile tiki huts, known as Ka’anapali Carts, in entertainment venues, sporting arenas and universities, while expanding its footprint at spring training. Targeted development areas for the premium coffee and blended fruit smoothie franchise include Phoenix and the nearby Scottsdale and Tempecommunities, Tucson, Flagstaff and Yuma. The company is actively seeking multi-unit operators who are passionate about the Aloha Spirit and committed to providing an outstanding guest experience. Franchise prospects should have a minimum of $100,000 net worth and $75,000 in liquid capital. Grimaldi’s Pizzeria plans to expand internationally by opening five of its world-famous, coal-fired, brick-oven pizzerias in the United Arab Emirates over the next five years. Partnering with Tablez Food Company to ensure a seamless expansion, this international franchise agreement represents Grimaldi’s first brand expansion beyond North America. Tablez Food Company, an entity specializing in the development of unique food and beverage concepts, was the premiere partner of choice for Grimaldi’s due to its vast experience in international expansion efforts in the region with other notable franchise ventures. Grimaldi’s Pizzeria, one of the most awarded pizzerias in the United States and the only upscale pizzeria to be bestowed the coveted Five Star Diamond Award, represents the first and only pizza concept in Tablez’s renowned portfolio. Beyond the Middle East, Grimaldi’s Pizzeria has engaged other investment groups in key growth markets around the globe in an effort to secure multi-unit franchise partners to introduce and develop the brand in regions including Southeast Asia, South America, Central America, Europe, Mexico, Canada and Australia. No Kid Hungry, the organization that partners with restaurants and hospitality brands to help end childhood hunger in America, recently presented Church’s Chicken® with the Dine Out for No Kid Hungry Newcomer of the Year Award to celebrate Church’s® 2016 campaign. The award is in recognition of one of the strongest-ever showings by a new partner. Presented on March 27, at Church’s headquarters in Atlanta, the award was received by Church’s CEO, Joe Christina; Church’s Senior Director of Advertising, Georgia Margeson; Church’s CMO, Hector Munoz; and Church’s Senior Director of Brand and Product Strategy, Jennifer Chasteen; on behalf of the entire brand. The award committee representing No Kid Hungry included CEO and Founder, Bill Shore; Senior Director of Dine Out for No Kid Hungry, Diana Hovey; and Senior Manager of Corporate Partnership, Kate Steele. In April of 2016, Church’s launched its first-ever Dine Out for No Kid Hungry campaign with a goal of helping support the organization’s endeavors to expand hunger-ending efforts for children across the country. Despite being a pilot promotion in company-owned and select franchised locations, the brand wanted to make a substantial first impression with its results. Through the efforts and generosity of its franchisees, employees, and customers, Church’s successfully raised more than 3 million meals for the organization—double what the brand set as an initial goal. From now until April 23, 2017, Church’s popular coupon booklet will be sold in participating locations while supplies last for just $1. The booklet features more than $20 in savings on Church’s menu items, and 100% of the $1 donation goes to No Kid Hungry. Every dollar raised provides 10 meals to children facing hunger. Learn more at NoKidHungry.org/onedollar. Qdoba Mexican Eats® and Jack in the Box® restaurants today announced their support of an industry-wide effort to improve the welfare of broiler chickens. “We’ve always been committed to the well-being of animals in our supply chain,” said Lenny Comma, chairman and chief executive officer. “As examples, in recent years we’ve worked with our suppliers to improve housing environments for egg layers and sows. Switching to a multi-step controlled-atmospheric stunning that will help ensure that birds are rendered unconscious before processing.